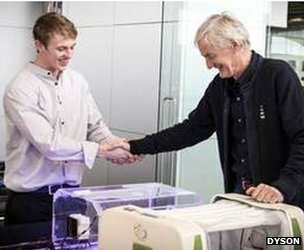 A sun-powered cooker, a printer that 3D prints "skin", a wheelchair that lets disabled people stand upright and a bee prober are among the latest winners of the James Dyson Awards. The inventions are among those picked to represent various nations in the engineering prize. Their makers were challenged to "design something that solves a problem" More than 600 entries from 18 countries were entered into this year's competition. It was open to university level students and recent graduates. The contest is run by the James Dyson Foundation, a charity created by the vacuum cleaner creator to help young people develop engineering skills. "The James Dyson Award provides a platform to showcase some of the very best new innovations in science, engineering and technology," said Dr William Webb, deputy president of the Institution of Engineering and Technology adding that "while some of the entries might not make it beyond the prototype stage, the award provides a crucial role in encouraging new engineering talent, which the UK and other countries around the world so desperately need." 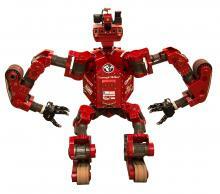 The DARPA Robotics Challenge(DRC) is a prize competition funded by the US Defense Advanced Research Projects Agency. The competition involves robot systems and software teams vying to develop robots capable of assisting humans in responding to natural and man-made disasters. It was designed to be extremely difficult. Participating teams, representing some of the most advanced robotics research and development organizations in the world, are collaborating and innovating on a very short timeline to develop the hardware, software, sensors, and human-machine control interfaces that will enable their robots to complete a series of challenge tasks selected by DARPA for their relevance to disaster response. The DRC Finals will take place from June 5-6, 2015 at Fairplex in Pomona, California. 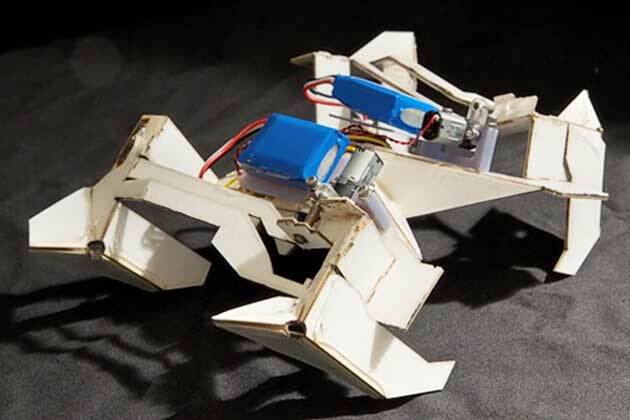 Researchers at Harvard University and the Massachusetts Institute of Technology have created a robot that can fold itself up from a flat sheet into a beetle-like, four-legged walking form. It's not the first folding robot: Some of the same engineers and mathematicians who collaborated on this one have built other origami robots, including robotic bees. This one, however, is the first to be able to fold itself rather than being folded by a person. The innovation raise the potential of robots that can be stacked compactly, like so many mouse pads, and then flown into hostile environments—either battlefields or other planets—where they then can be left to self-assemble. Traditional Operating Rooms are inefficient and overcrowded. Patient data are not integrated and displayed to caregivers in a timely fashion, and turnover time between cases is lengthy. 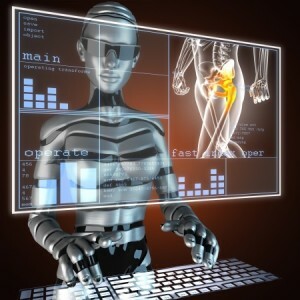 Technologies designed to impact procedural medicine are often introduced in isolation, usually failing to improve efficiency and safety, or reduce costs. Devices are often haphazardly introduced into a technologically complex environment. Integrating high technology components, however, is not sufficient to achieve the goal of better patient care; teamwork and communication in a high tech environment is equally essential. To address many of these problems, CIMIT pioneered the MGH "Operating Room of the Future" (ORF) project. The technological singularity is the hypothetical future emergence of greater-than-human super intelligence through technological means. By promoting the "truth" of its coming through predictions that seem remarkable at the time but inevitable after the fact (a global computer network, a computer beating the chess champion, etc. ), Ray Kurzweil's popular series of books reinforces the belief that a singularity is unavoidable.